The Los Angeles edition of The Secret List was released in November 2013 and the Paris edition in July 2014, both are now deleted. A spin-off edition The Secret List – Brighton written by Stephen Ellis, with a little guiding hand from myself, was published in August 2016. You can purchase it at many record shops in Brighton and directly from Stephen. More details here. The London edition was published on 24 November 2016. 1. 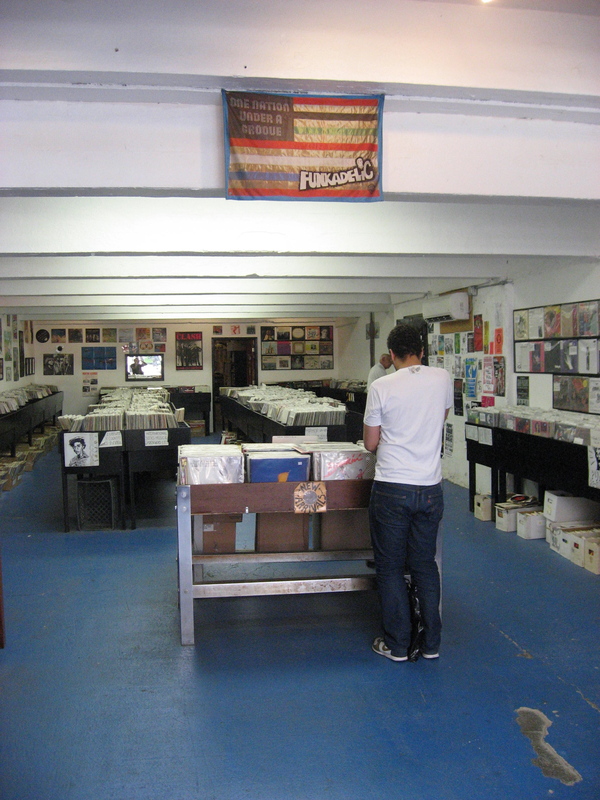 Why are there so few record shops reviewed on the blog? The aim is for the blog to promote the book. If most of the information is available online, then not many people will buy the book. Material not published in the books such as the New York record shop guide, a Japan photo special and updates for the Los Angeles edition are posted online on this site and on the Tumblr site. 2. Will there be a digital version of the book? Not at the moment. The aim is for a well designed and produced book, printed on high quality paper, a quality, tactile product that people will wish to purchase. But maybe something for the future. 3. What are the ‘secret spots’ sections in the book? The book is arranged by geography, after each area there is a pub, cafe, restaurant or shop listed which will be of interest. Typically this will be a junk yard full of bric a bac; an old school Italian pizzeria in the Lower East Side; an old man’s pub with Blue Note on the jukebox etc. More substance than style and off the radar of many other guides. In the beta version of this blog, the travel piece on Los Angeles brought in a lot of traffic, as long as this continues, there will be a ‘spots’ section on the blog. The Tumblr site includes shorter travel recommendations. 4. Who is responsible for the design of the book? Andrew Sidford, owner of the Made In Earnest design company. Andrew is responsible for both the design and look of the book. He made a name for himself putting out some very eye catching flyers, has worked with the likes of One Handed Music and Nostalgia 77 as well as a number of corporate clients including the BBC. 5. Will there be any parties to promote the book? Yes. In January 2014 and June 2015, we hosted successful nights at CAMA ATK, Hanoi to launch the books, where there were four times as many punters than normal. In December 2014, we launched the Paris edition at Superfly Records, Paris. The London edition was launched at Brilliant Corners, 24 November 2016. More info here.